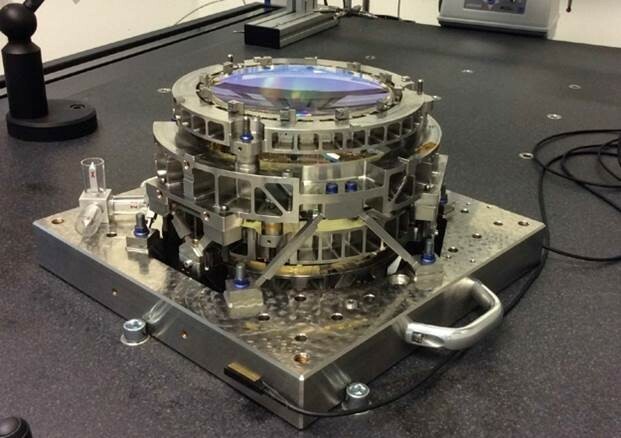 The Near IR Spectrometer Photometer (NISP) instrument's role is to measure galaxy redshift. It observes adjacent non-overlapping areas of sky in each pointing. 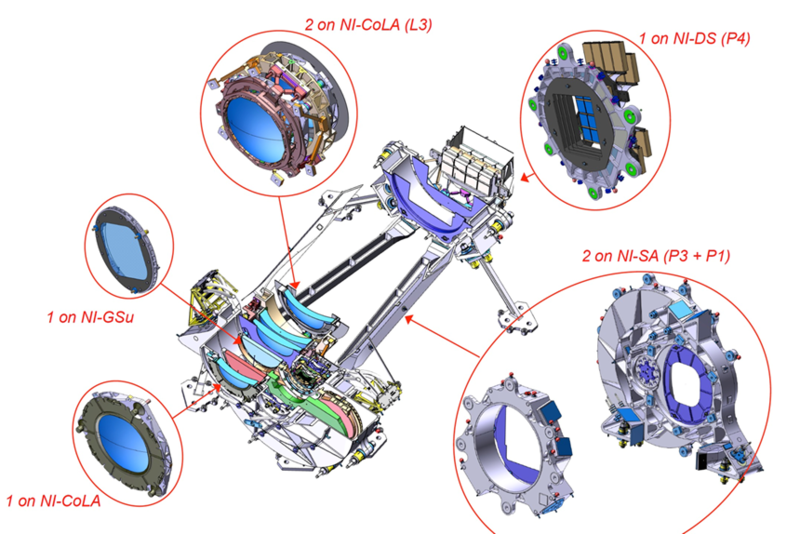 The baseline for NISP is an infrared instrument allowing observation in slitless "spectrometry" mode thanks to several grisms (Grating + Prism), or in "Photometry" mode using several filters. 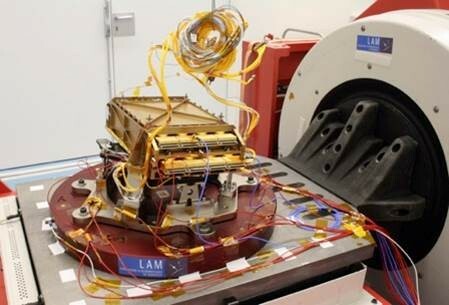 A grating wheel with 4 grisms enables spectral channels to be selected for observation in "spectrometry" mode as well as the orientation of the spectra, and a filter wheel with three filters enables the spectral channel to be selected for photometric observation. In spectrometry mode the filter wheel is in open position. In photometry mode the grism wheel is in the open position. The spectrometer mode is characterized by one single main observing mode: the acquisition of a slitless spectroscopic image of the monitored field. However, slitless data-reduction techniques require that each field is observed at different orientations (roll angles) to disentangle confused spectra. Each spectroscopic image is then the association of four frames collected for two spectral bands covering [0.9-2.0] µm and two spectrum orientations (0 deg or 90 deg). 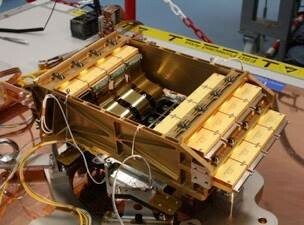 NI-TC: Thermal Control, desined to control the optics at a temperature of 140K ±0.3 K throughout the mission. Electronics: ensures the interface with the satellite, control of the instrument, acquisition and the on-board processing of images (deglitching, compression, etc.). The instrument functional diagram is illustrated in the following graphics.